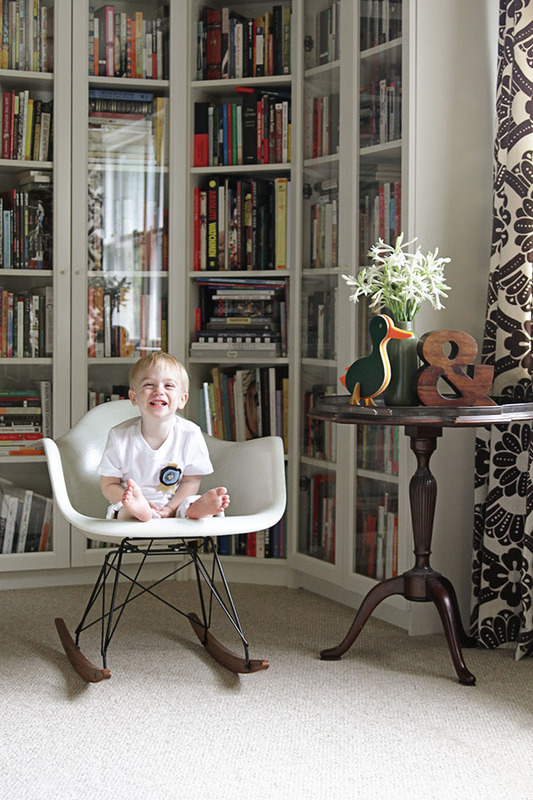 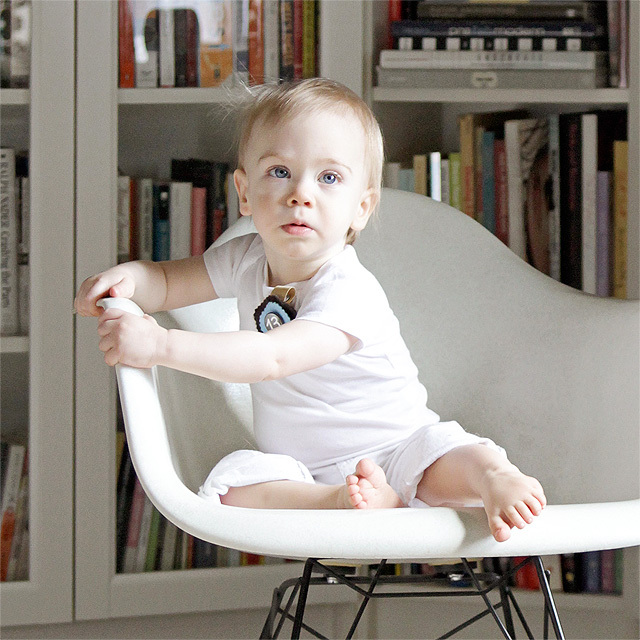 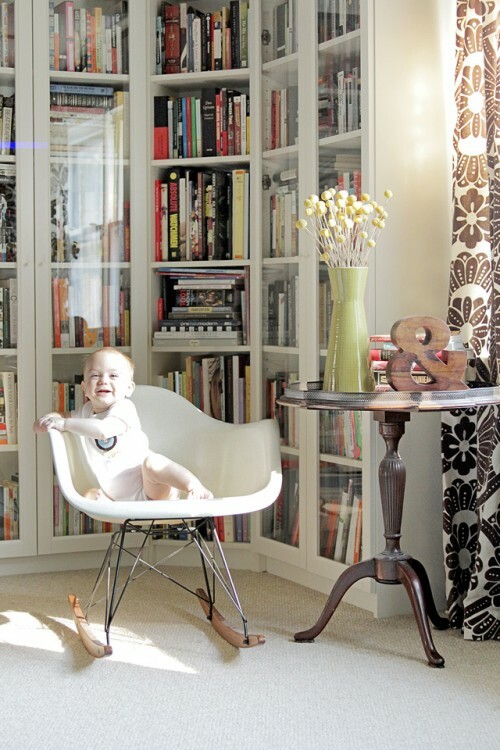 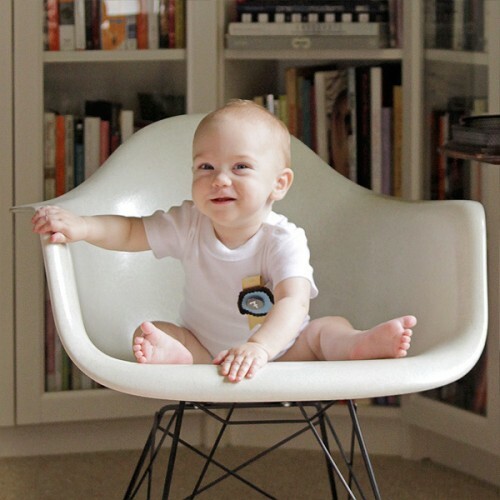 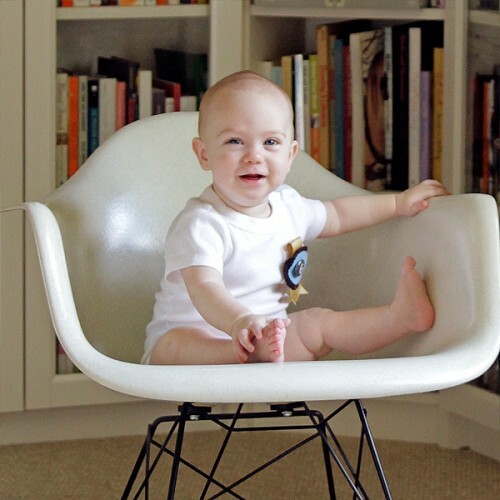 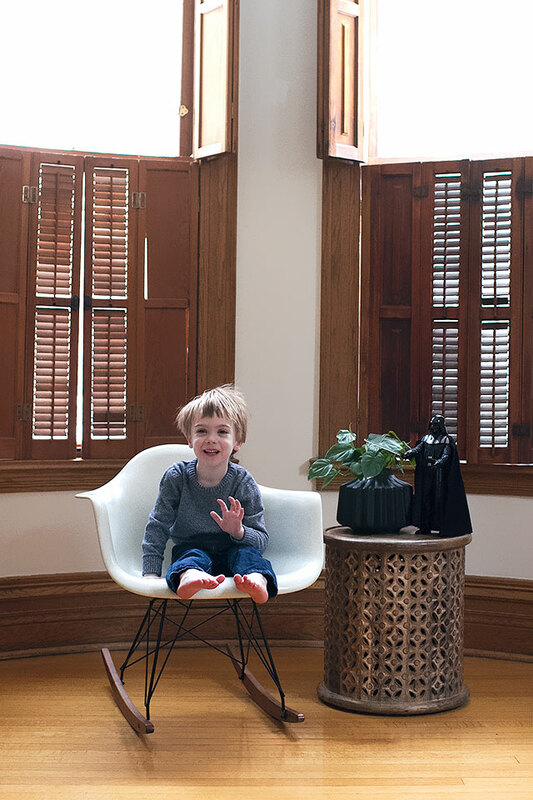 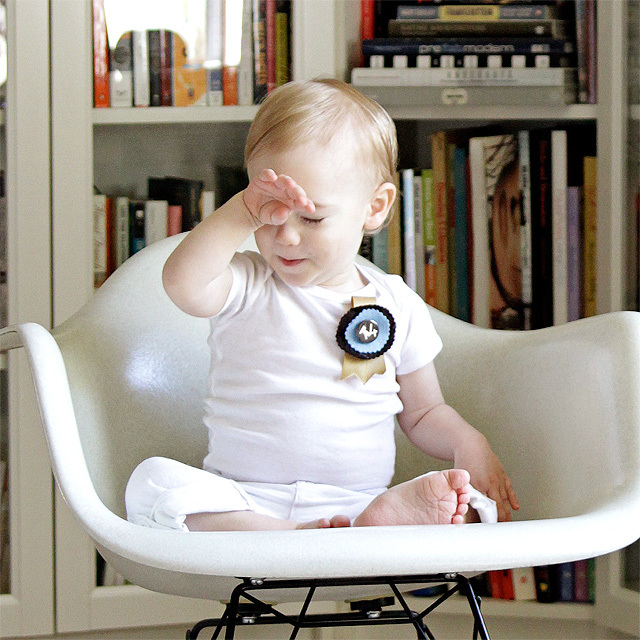 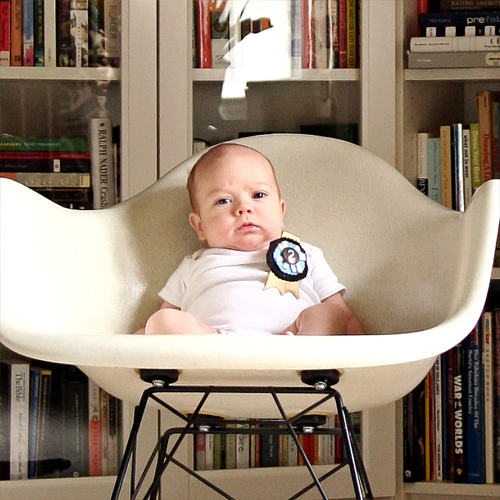 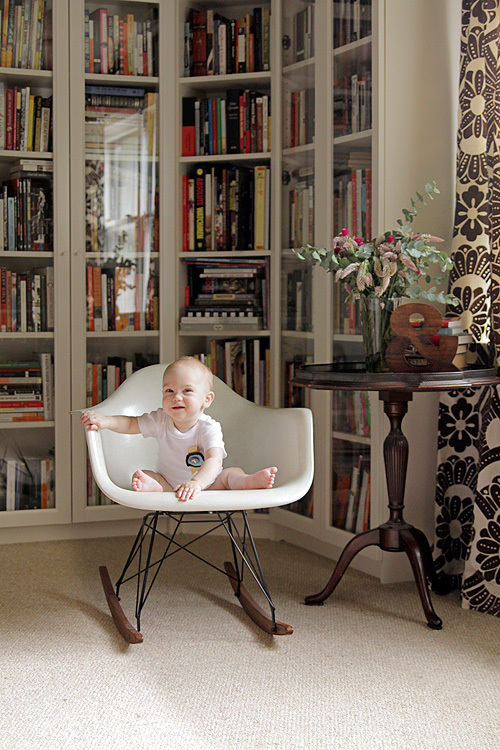 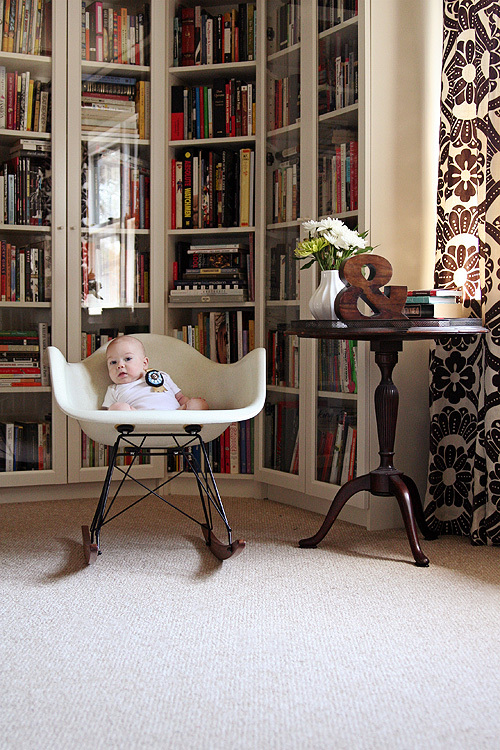 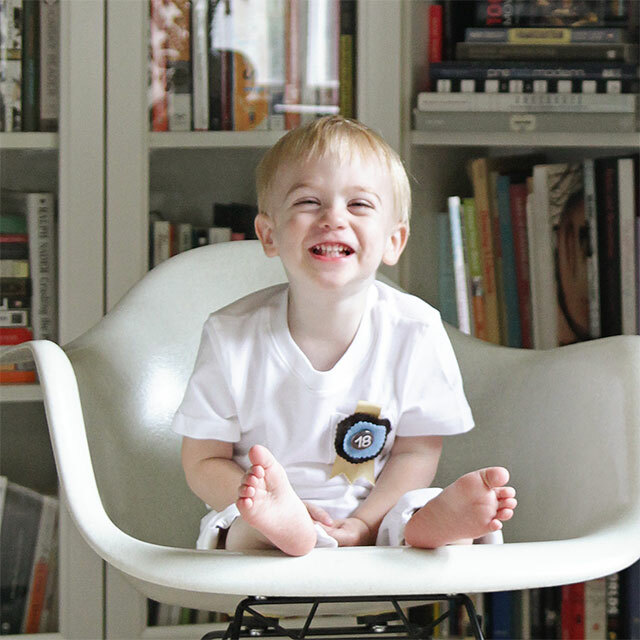 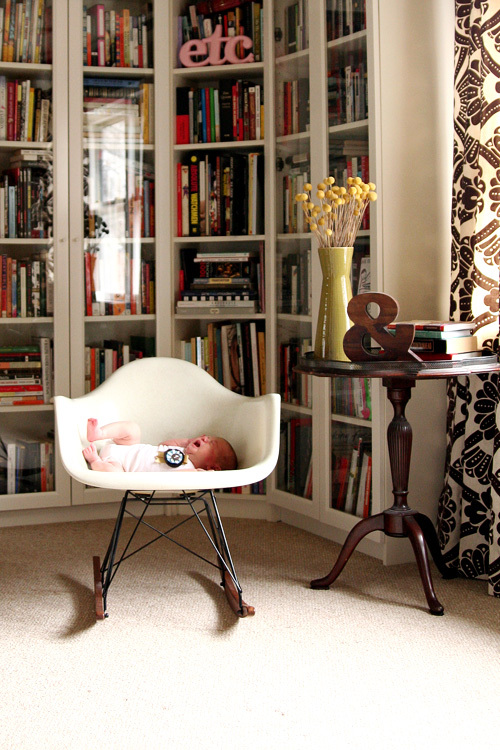 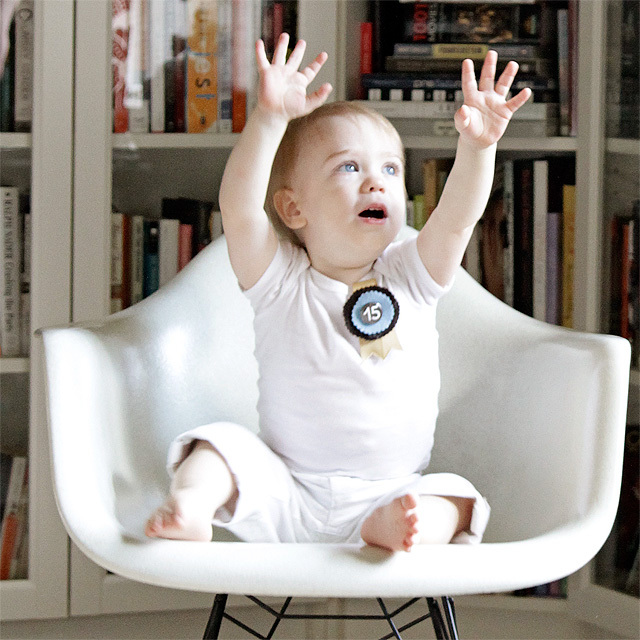 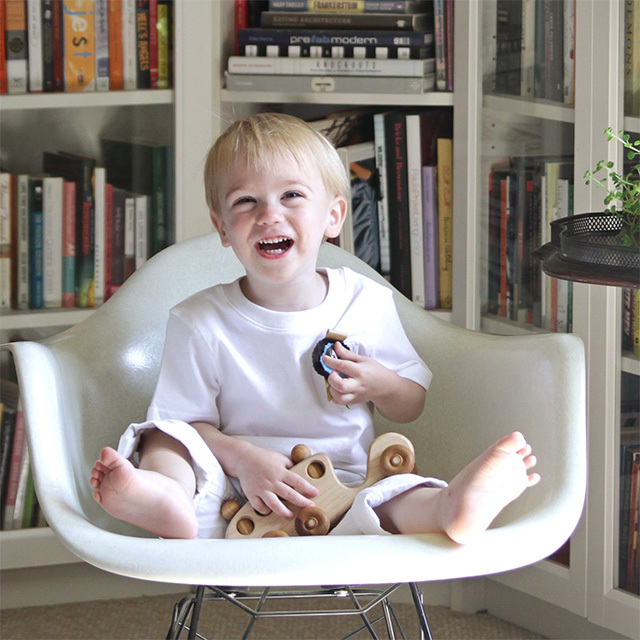 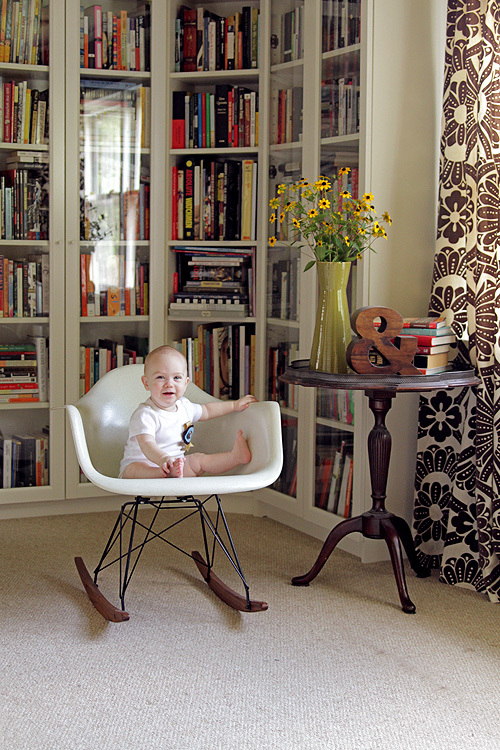 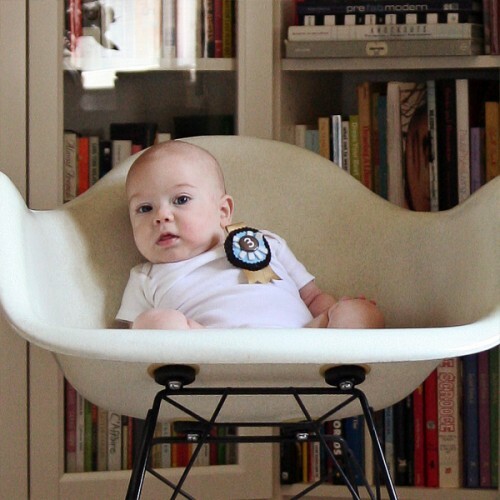 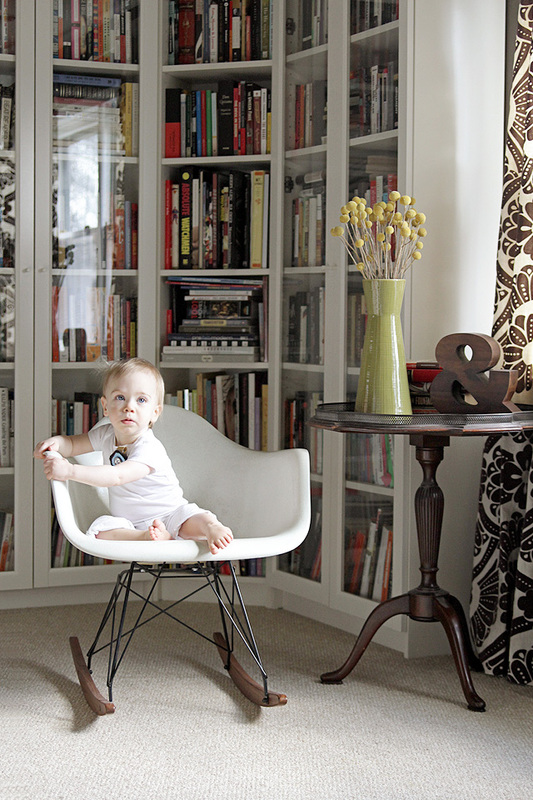 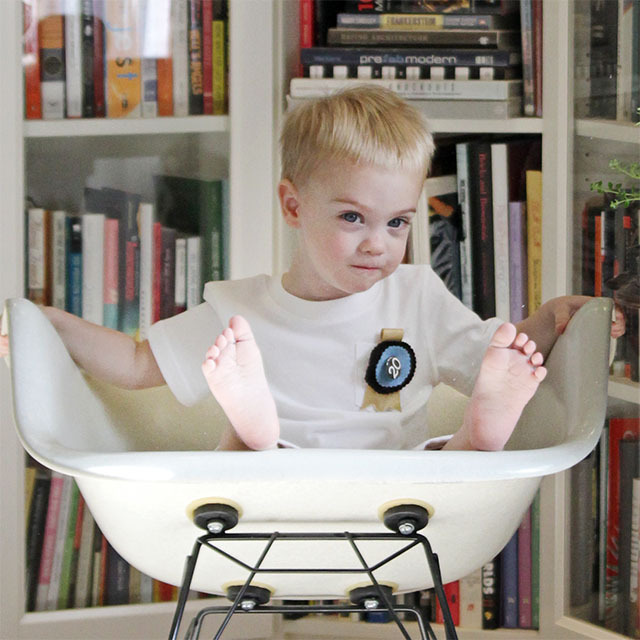 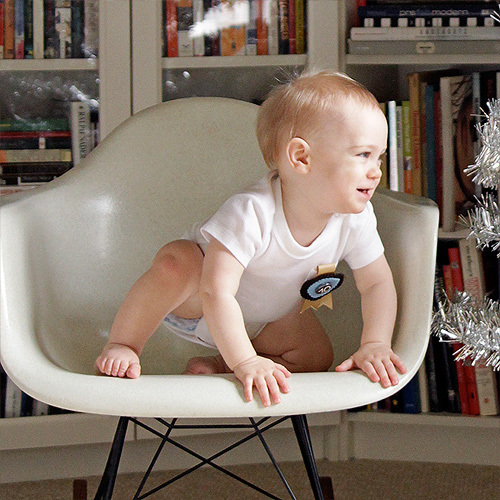 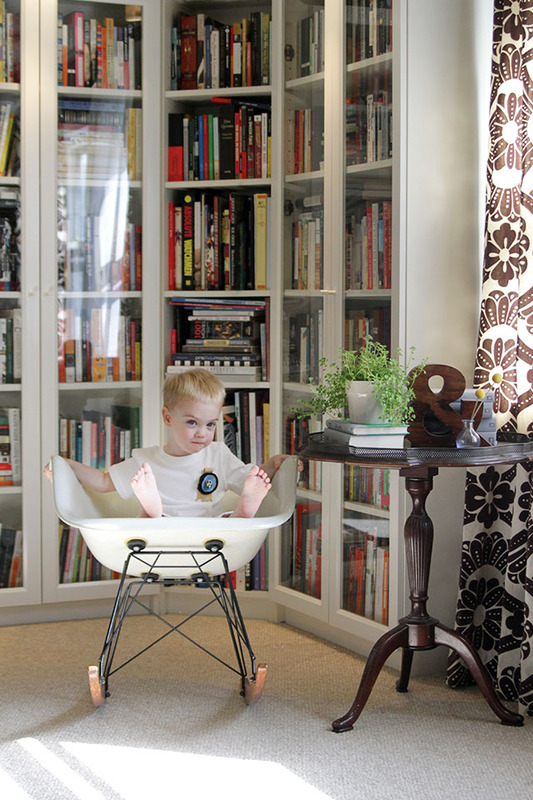 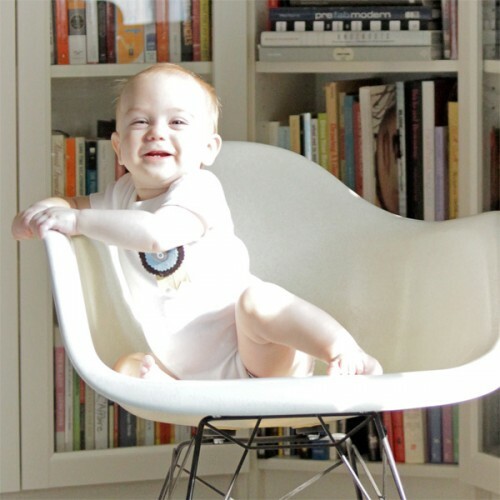 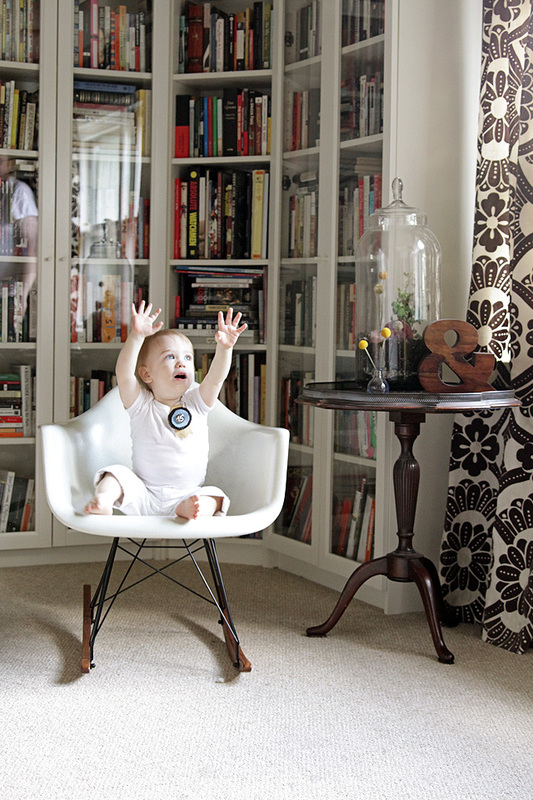 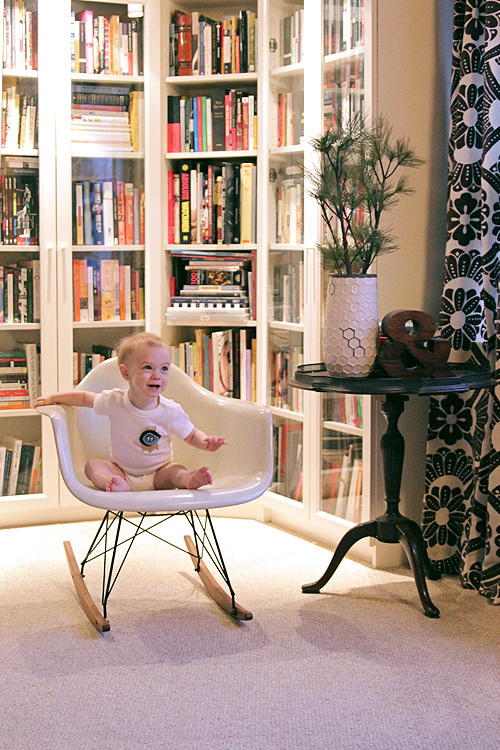 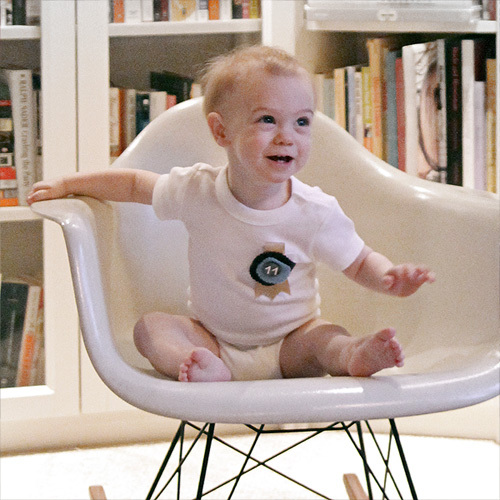 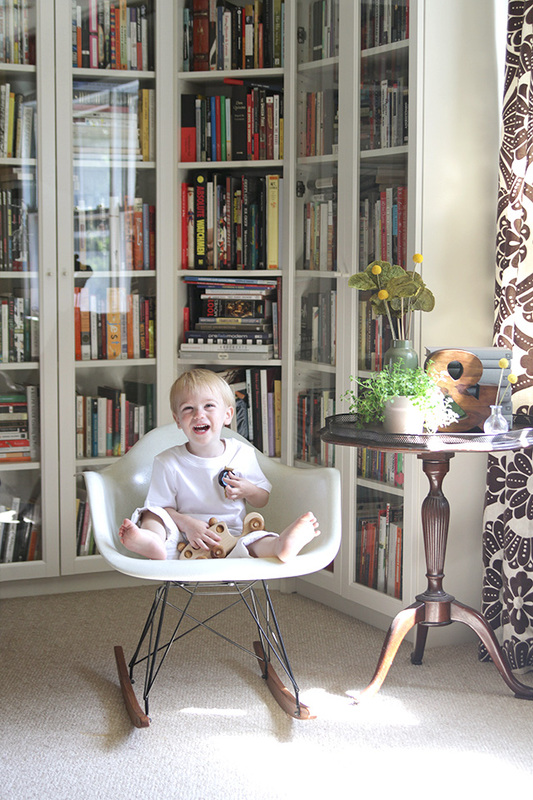 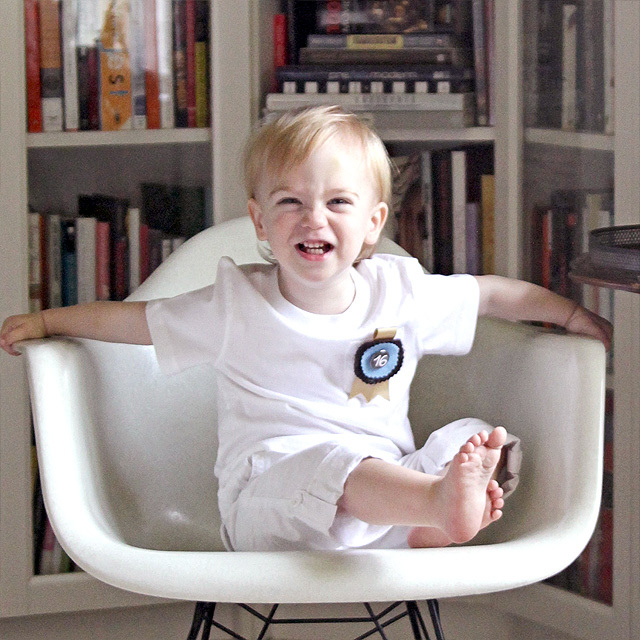 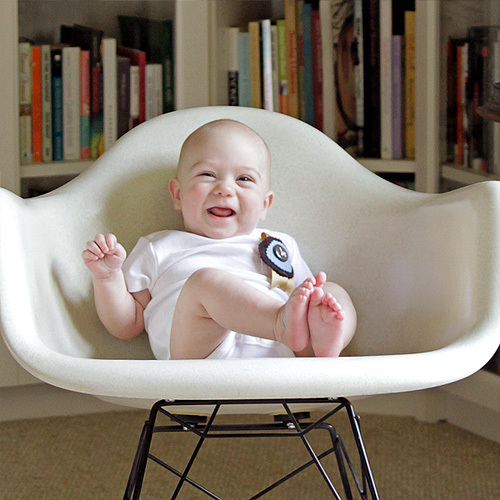 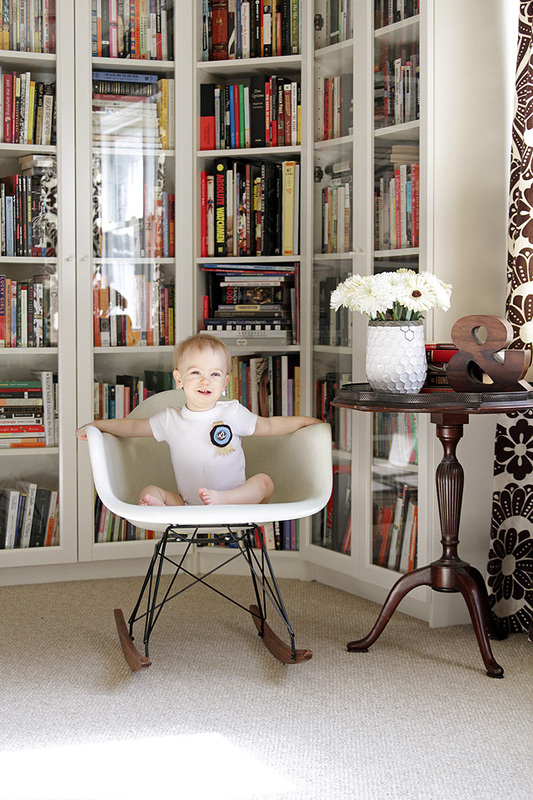 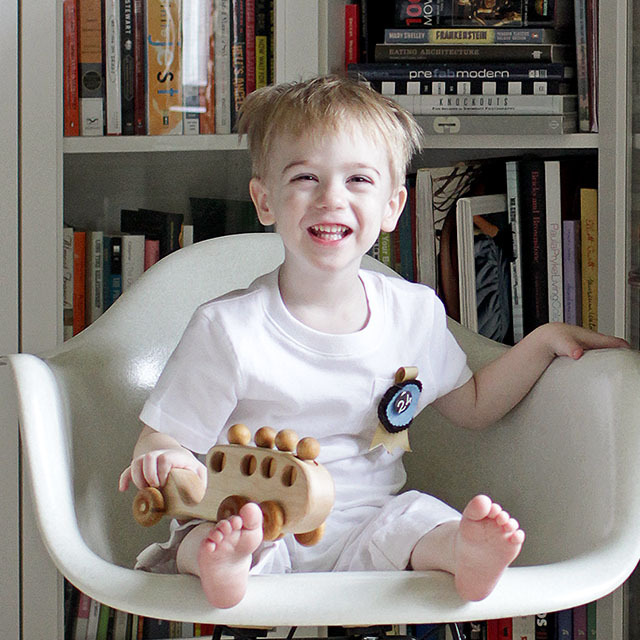 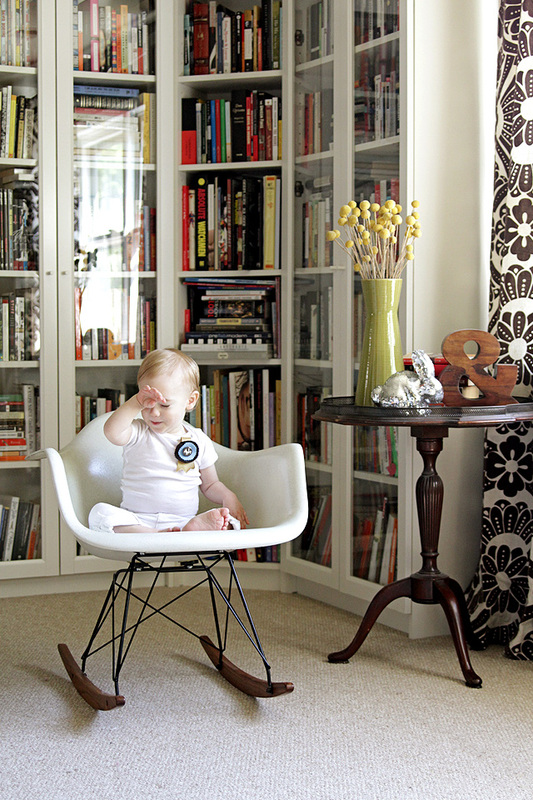 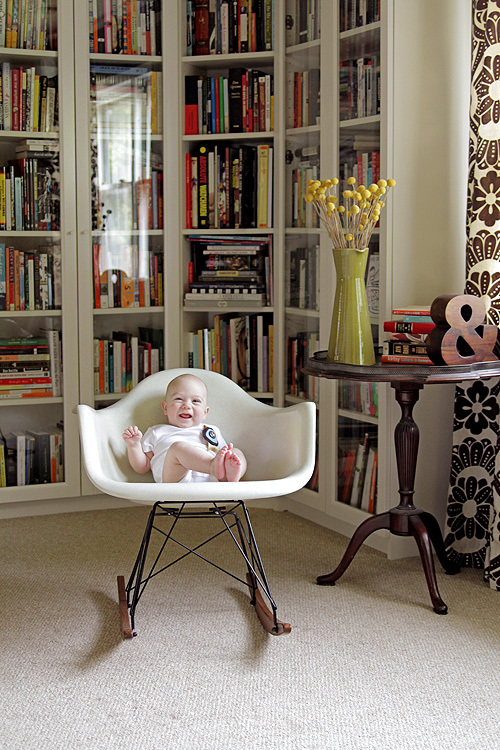 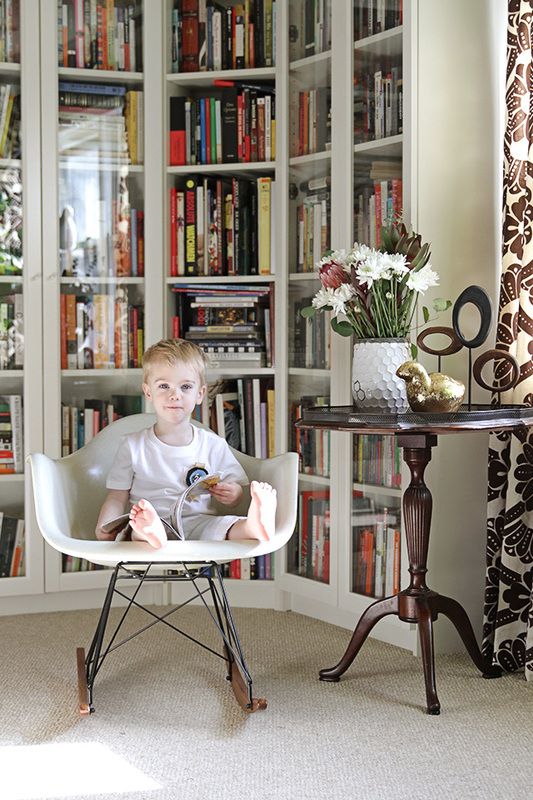 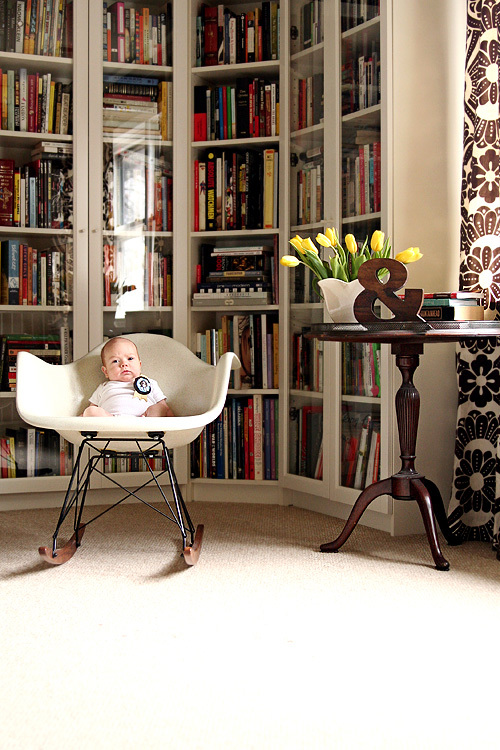 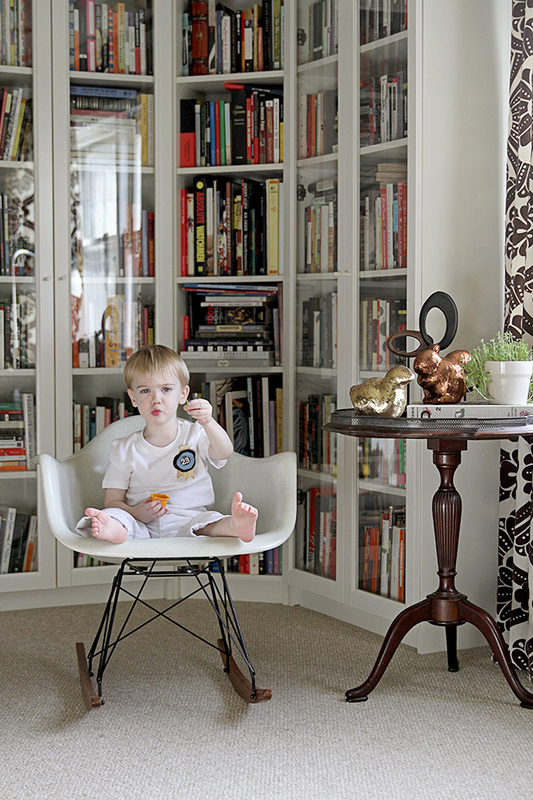 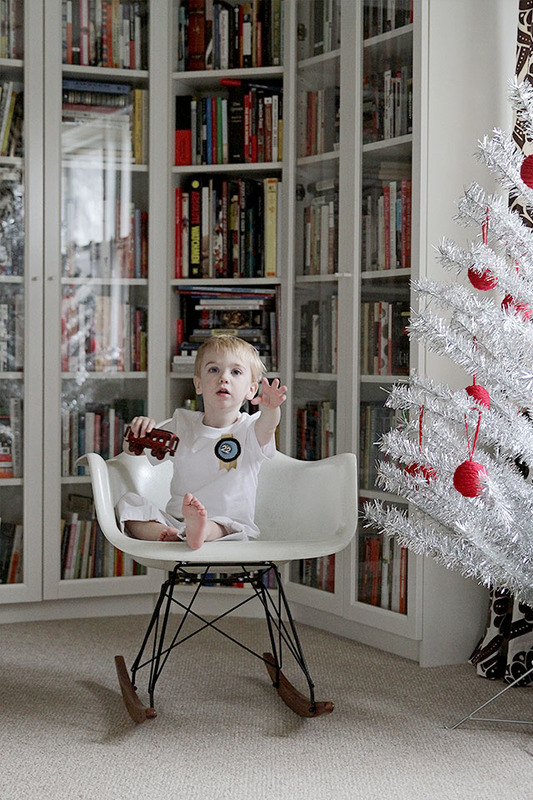 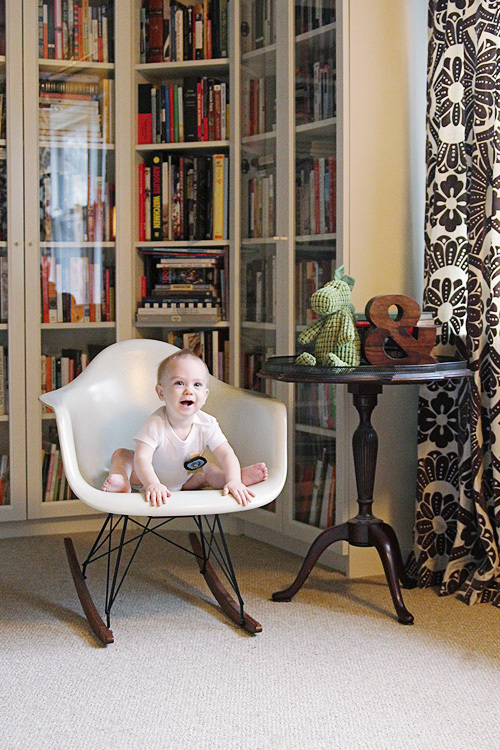 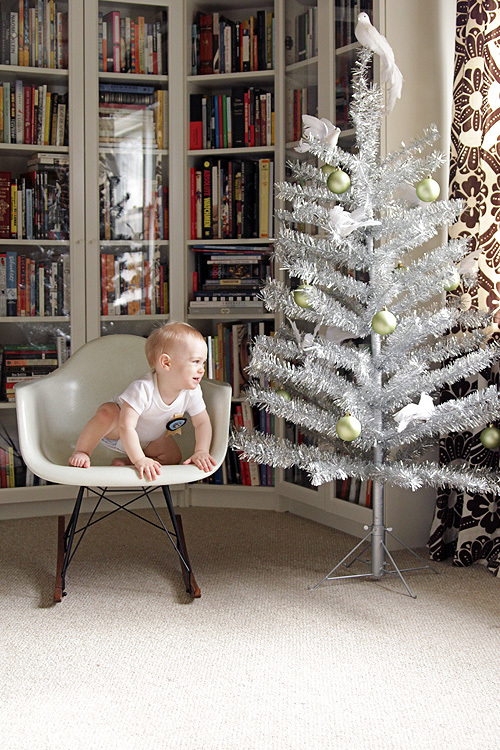 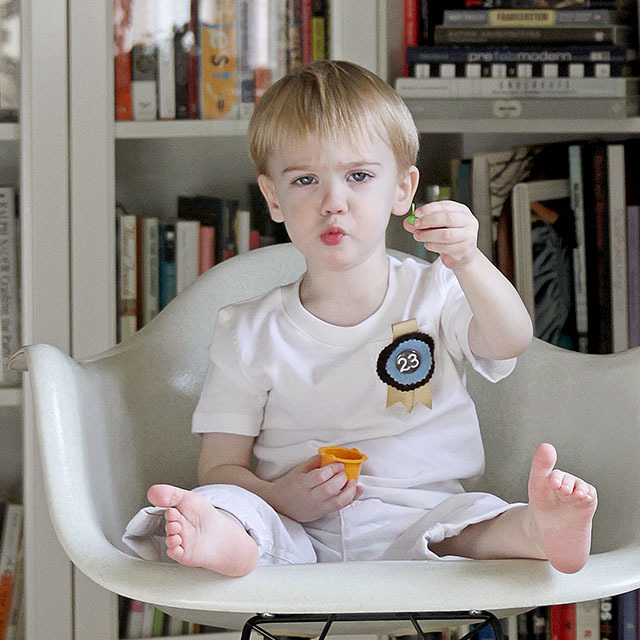 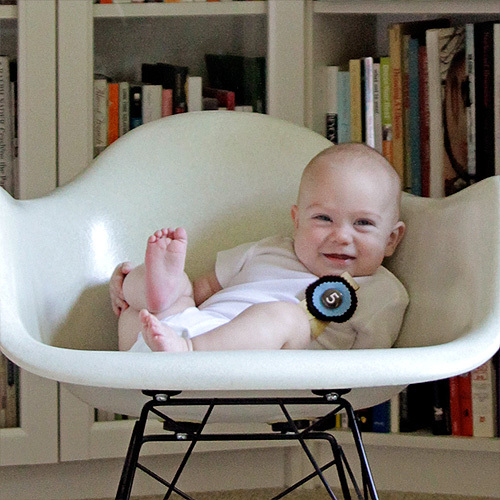 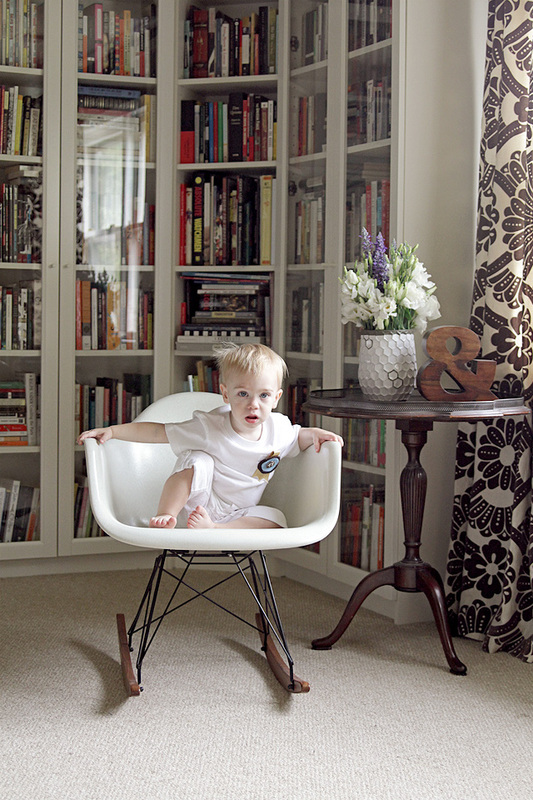 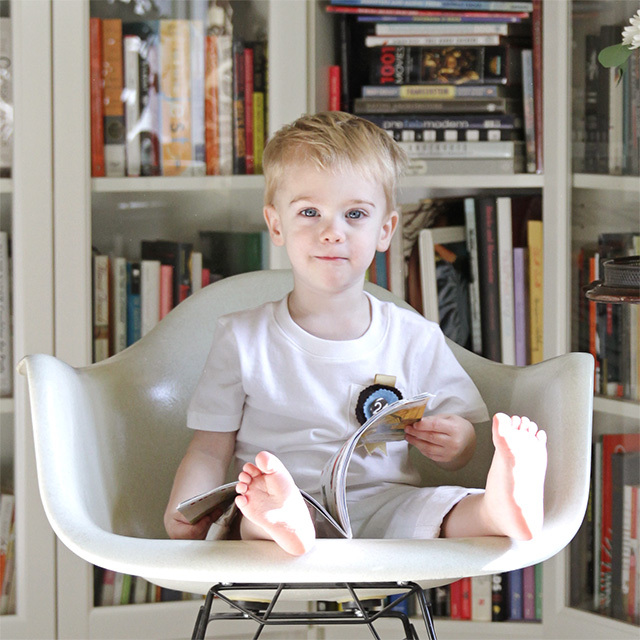 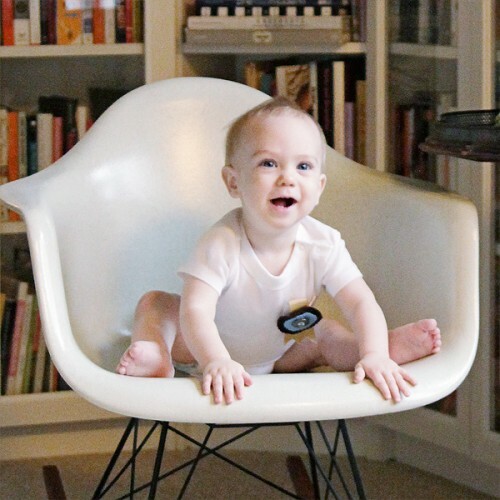 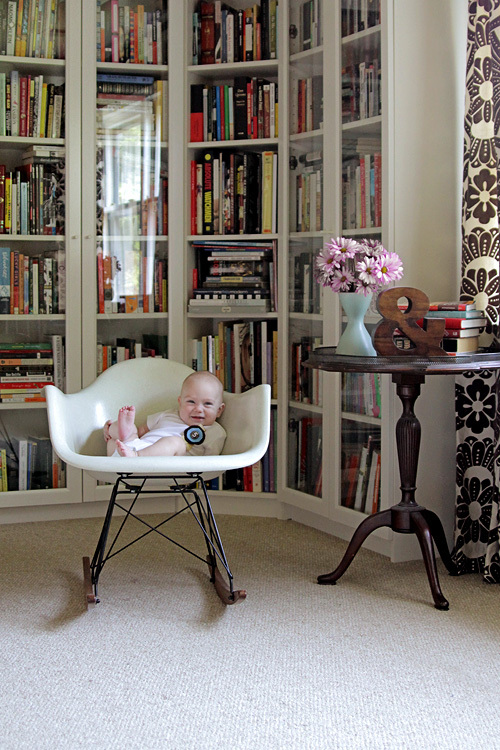 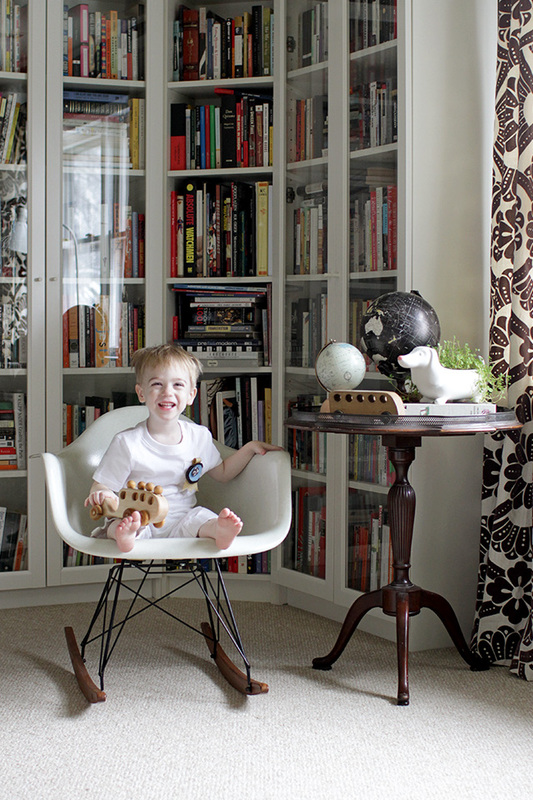 I took a monthly photo of August, sitting in our Eames rocking chair and wearing a numbered pin, until he turned two years old. 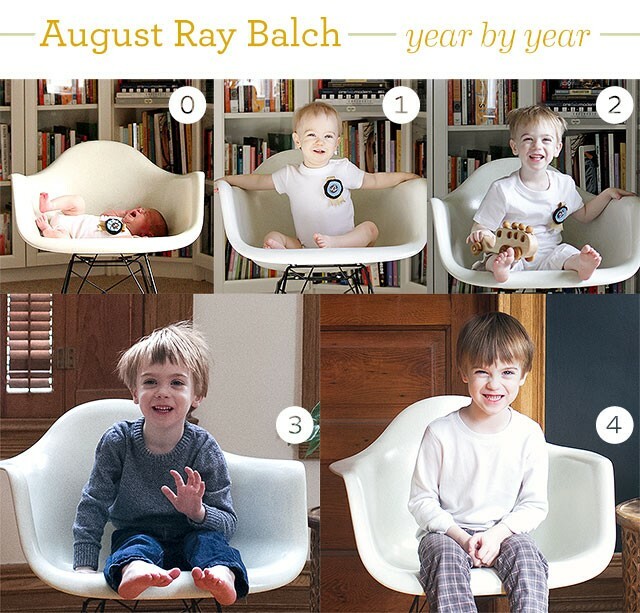 I then continued the photo project after he turned two by switching to yearly photos. 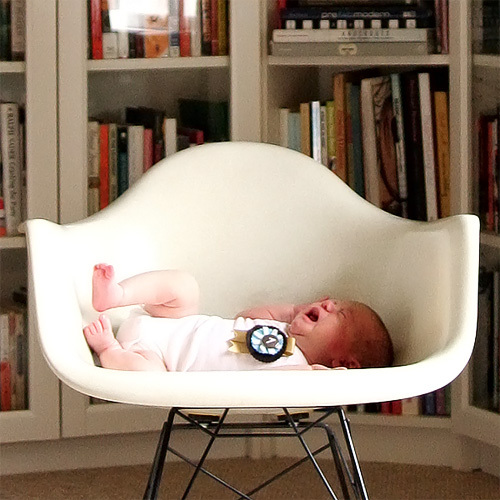 I initially started taking these photos with his older sister, Eleanor, and now I’m doing the same for his baby brother, Calvin. 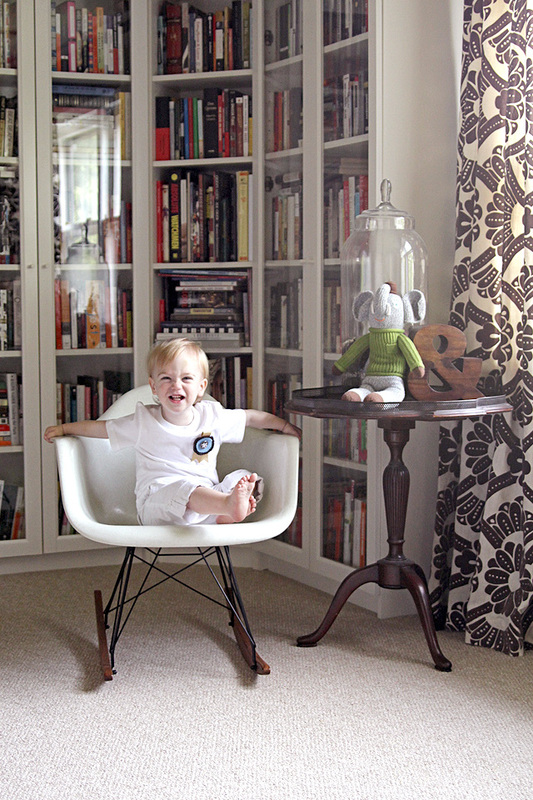 I chose to photograph August in the same setting, our library, for a sense of scale. 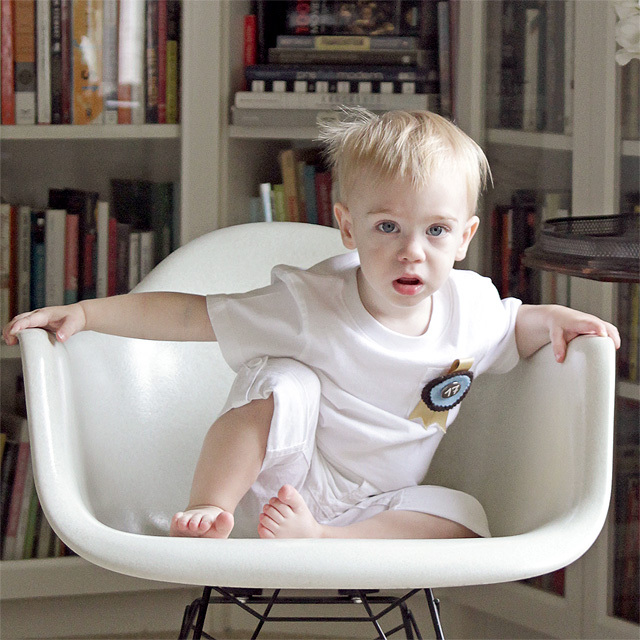 I dressed him in a white onesie for the first year, and in a white tee and pants through the second year. 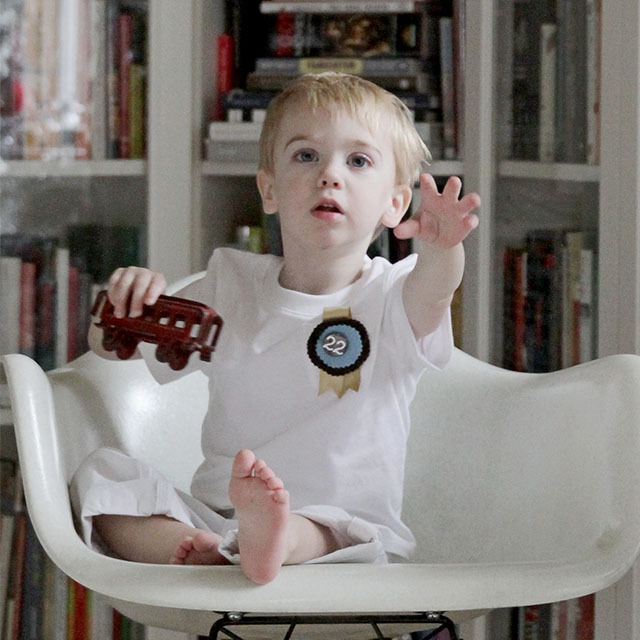 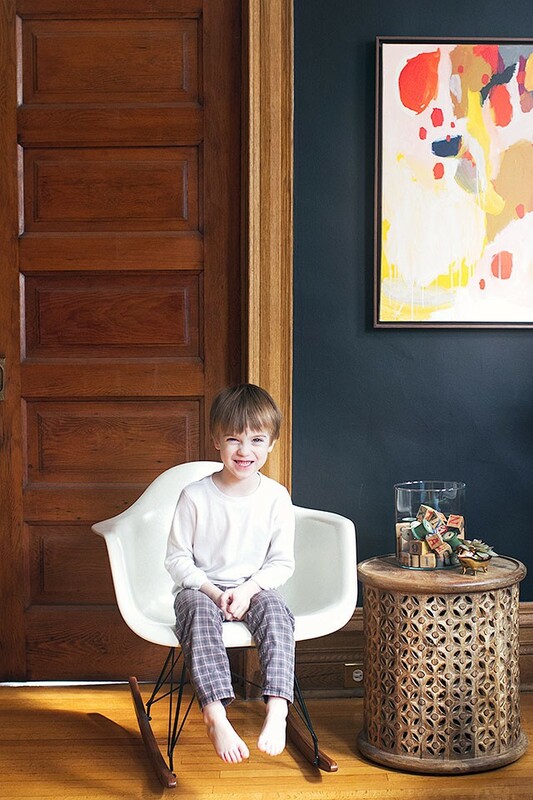 I purchased his outfits in several sizes ahead of time for continuity, and I kept them simple and white to keep visual distractions to a minimum. 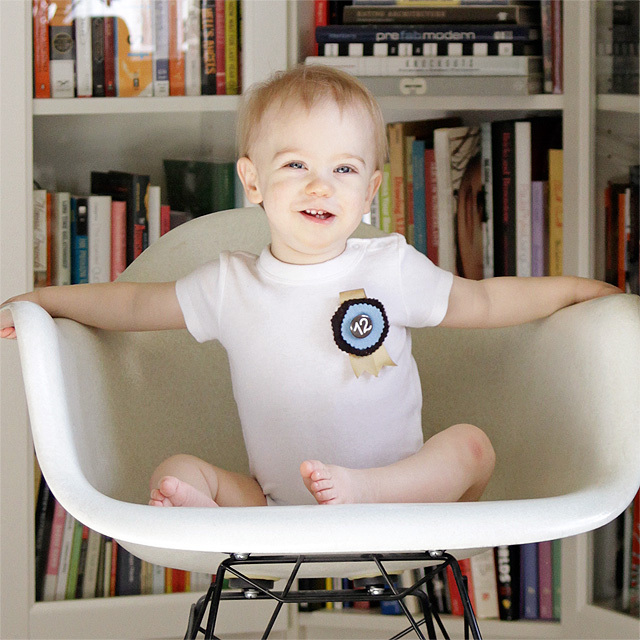 I made a felt pin for August, just like I had done for Eleanor, and the center was changed out each month with a new number.